Alamo Beer Company Brewery sits beneath the historic Hayes Street Bridge in East Downtown San Antonio. 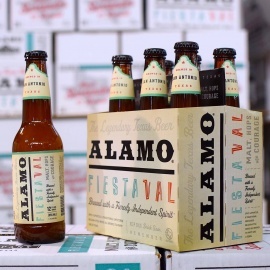 Using age-old methods of brewing the company brews ALAMO Golden Ale, ALAMO Pilsner, ALAMO German Style Pale Ale, ALAMO Amber Lager and ALAMO India Pale Ale plus seasonal selections. 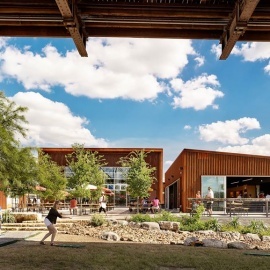 Production of beer began in December of 2014 while the Beer Garden and Beer Hall opened to the public on March 6, 2015. Spike Vodka is the first and only vodka in the world made from prickly pear cactus. Spike calls Artisan on Alamo Distillery home.